In the chilly air of a spring morning you find yourself bundled up and walking out through a quiet lot. You are keeping your body close to an old abandoned distribution center. The threat of others is always in your mind. You have a large pack on your back that is mostly empty. Your goal is to fill it. There is a sidearm on your hip, but the reality is you only have three shots left. The frosty winter has exhausted much of your food stores and your home has taken a beating from the high winds of a notable winter blizzard. Spring has brought no relief. So here you are, checking every nook of this small business park. The windows are shattered and most everything is gone, but you hold onto the hope that there is a gem just around the corner. Here we are going to outline several categories of resources that you can head out and scavenge from the fallen world. I did not include food because I feel like that is always going to be high on your list when you are out scavenging. Did you know that every business with onsite employees is required to have access to a first aid kit? Even the small law firm down the street has a first aid kit. When it comes to scavenging these types of supplies you would do well to look at these small abandoned businesses and business parks. I think you will be pleasantly surprised with what can be found in the desk drawers of offices. There will be a certain amount of risk when you head out to scavenge. Where you go and when will determine the amount of risk you face. We will look at two ways that you can scavenge smarter. You must be willing to do a little research ahead of the collapse, and learn to operate at the best time for scavenging. Long before the scavenging begins you will want to make a resource map of your immediate area. These are simple to create. By printing an area map of your location and the surrounding areas (use google maps) you can mark all the major retailers and business parts in the immediate area. Color-coded markings and a key will help quickly identify things like medicine, food and tools. This resource map should focus less on the big retailers and more on small stores and business parks. Your scavenging success will come down to how few people you run into, so you want to stay away from obvious places that most people will search. Stick to smaller business parks and offices for scavenging. Look also in abandoned homes that can be watched from afar. Disassembly of pallets is a lot easier said than done! I learned that by salvaging oak slats from pallets that I then would plane to thickness and cut to size to make boxes for canning jars. The nails are usually spiral and nearly impossible to pull often damaging the wood in the process. One should actually try something like this before counting on it in a SHTF scenario! So true about this, pallets are almost impossible to take apart. I did see someone on youtube take a reciprocating saw, and saw through between the slats to cut through the nails… that would be about the only way. Great observation.. But, don’t discount it, last resource. Pallets are easy to take apart but do not use a hammer or nail puller. Take another board and put between the slats pop upwards from the bottom of the slat and the nails will unscrew a little at a time. Consider getting a “truckers Friend” for a multipurpose tool. A spiral nail is a fencing nail It was designed to stay in. I live on a limited budget, so prep is what I can make with a little imagination and very low cost. I mostly have hand tools that I picked up at auctions, some as little as $1.00 or less. Good to almost New condition. Then got to thinking about trade goods. Anything that I could replace simply. To conserve ammunition, I thought of a bow and arrows. Tops and bottoms of tin cans can be easily cut into arrow heads. Heavier plastic can be used for fletching and thread to tie. I used some old thin doweling to attempt and found the 3/8″ hardwood dowels to work best for arrow shafts. I did buy a break-down recurve bow, but used twisted, small animal gut to make a backup bow string. It works. Not well enough to replace professional arrows, so I began stockpiling those. Again, auctions and good sales at small hardware stores. Thank you for providing a source of free information. I appreciate it. Hey Powderhorn, after you cut the ends out of your cans, the wall of the can can be flattened out and made into shingles for roofing or siding. I have found that wet (I mean wet not damp) pallets come apart much easier than dry pallets. Maybe that doesn’t make sense but it makes a notable difference. Also, I made a L shaped fork from 1 inch square tubing that really works well. I put a 5 foot handle on it for some real leverage. You can see several variations on YouTube. Use the oak for firewood. It burns longer and you can pick the nails out of the ashes. Pine or dogwood pallets are easier to pull nails. Because the wood is softer they don’t burn as long and being soft they aren’t as pretty if they have been used. BUT… Be careful to NOT expose people, pets, and livestock to pallet smoke as many, if not most, are chemically TREATED to slow deterioration! That will work, but it’s probably easier to just find a hardware store and pick up a box of nails. Tempering metal isn’t that simple, and there might be better things to spend your time on. In a pinch it’s worth a shot, though. The items to bring with you is important. Tools, bags, cordage, liquid containers, duck tape, etc might all be very useful when scavenging. Especially if you hit the motherload. If you do hit the motherload, you may have to hide some of your booty to come back and get. Materials and tools for this would be handy. Valuable locations for various supplies could include feed stores, sale barns, and veterinary clinics. Tools, batteries, various fencing and repair items, and medicines and bandages can all be found there. These places may be picked clean early, but they may still be worthwhile for a scavenging trip. In a true SHTF situation, even animal medicines may prove useful. Before considering any “alternative” medicine, be sure to research the heck out of it. Get a medical encyclopedia for the dire situations, but while you have the time now, remember – “Google is your friend”. Also, feed stores may have batteries left for the poor man’s taser (cattle prod). Spend some time looking for the useful items: traps, rope, solar power, self-help books, etc. Being in a rural area, I am fortunate to have access to several auction houses that specialize in junk sales, but remember the saying that One man’s junk is another man’s treasure. When downsizing, people often do not think about how useful some of their junk actually is. I’d like to add one point. You should also think about Scavenging in pairs. 1 as a watcher and one as a scavenger. Also, a very valuable skill would be sign language. Group scavenging would definitely be a plus, especially if you are going after heavy stuff. Pallets are really heavy. build a travois like Indians used behind their ponies to transport tents, tepees, buffalo hides, belongings, and the elderly and children, can make one and two man ones for your group. Can haul a lot more stuff that way than hauling on your back. Dont forget those already made solar panels at all these bridges and substations. They are ready to go and not very large. We have them all around us. Even some signs on the highway have panels. Steve, in my area, there are some billboards that use solar. 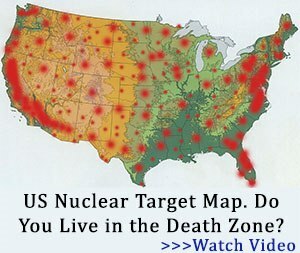 Check the billboards where you live. Hoosier Homesteader… Good idea! Never thought about the billboards. I’ll have to check that out ‘just in case.” You’d need a good ladder to get to any solar panels that may be in use. The billboards around here are likely 25 foot to the top where solar panels are located. Don’t forget about your local library and used book stores. Remember knowledge is power. Don’t forget schools. Nurses office, janitorial supplies and tools, toilet paper, lost & found filled w/sweatshirts and gloves, cafeteria. A treasure trove. Talk about scavenging, there is an area south of Dallas, TX called the Inland Port. Tens of thousands of acres of warehouses and truck terminals fed by endless trains (if you’re out in the country you’ll find no greater prize than a disabled train) arriving from the west coast ports and the Port of Houston, this is a major logistics center for just about every major retailer in the country. Two day supply of goods in the city? If our society collapses without a devastating nuclear exchange this will be the new power center, the greatest source of wealth in North America. Good movie but I can’t hear “Three Little Birds” without wanting to cry now. Haven’t read the book, yet. Maybe movie theaters for some food and other supplies? Hotels? Definitely craft stores! And garden centers! On a much darker side nursing homes might be a good source of medications, but it might be just too heartbreaking. Look at what happened during Katrina. Should always assume a potential area to scavenge is already occupied so may need to do some reconnaissance to make sure it is safe. Someone may not take too kindly to others coming in and stealing their claim. The time to locate the areas, print out google maps, and learn your way around is now while the grid is up and running. If you wait until SHTF or grid down it will be too late. Buy a pair of bolt cutters now – For later. They are the master key to many things. A set of lock picks would be worth gold! Lock picks are very useful things to have – if you know how to use them. They’re small, light and don’t cost much, so they fit easily in a bug-out bag or EDC kit (but check the law where you live…). Make sure you practice with them before you need to use them for real, though. There’s an art to it, and if you don’t have the skill already you can easily waste a couple of hours prodding at a lock when bolt cutters or a hammer would have dealt with it in seconds. Already beat you to ghoulish! Little resistance, but even worse to find people dying from neglect. Don’t know if I’ve the stomach for that. No way I could EVER steal from someone’s mom and dad! There are other sources besides the weak and frail you can take from. I’ll hunt, fish and do whatever is needed for myself and family, and give whatever I can to those in need of assistance. Just because there is a SHTF episode, doesn’t mean we become an animalistic society to our elderly population! I should be able to “get by” while I help someone who isn’t as strong as I am. Smokies Hiker: I agree with you. I have resolved in an EOTW situation that I will not steal from someone. I will not beat nor kill someone weaker than I in order to acquire their goods and/or food. However, if I come upon your car parked on the highway and it is empty and it has been several days since the EOTW, I will not hesitate to crack the trunk, siphon the gas and remove such parts as I deem will be helpful to my survival. I feel that if you valued them and wanted to preserve them you would have removed them yourself. Additionally, if I come across a house that is empty with no signs of recent occupation, I will again do the same. I see no difference in an abandoned house and an abandoned store or office building. Now should I enter a house and find signs of recent occupation, warm coffee in cups, half eaten piece of fresh bread, then I would leave because I would think, lacking any signs of violence the folks plan on being back. I think advocating stealing from old folks who might be too feeble to resist strenuously is depraved and should be castigated fully. In my opinion it shows a lack of moral courage. I was never impressed with someone who beats up on someone smaller, considerably older or weaker than the coward. I always thought if you wanted to prove yourself, you took on the biggest, strongest, meanest bully you knew. LOL Damien! Hurling aside, schools are a good choice because you might find epi-pens and asthma meds in nurse’s office, both of which are going to be at a premium after tshtf. Lockers might yield a few goodies as well. Libraries and bookstores are good too for all kinds of diy info as well as entertainment. Maybe churches? Many have food pantries or soup kitchens. Any building can potentially yield good pickings. Using “bolt cutters” to gain entry to any structure could spell trouble if there happens to be any policing activities in the area. Bolt cutters would be considered a “criminal tool” and the authorities protecting the area would arrest those involved, or someone wanting the same items as you may take your tools away from you.or cause hostilities to take place. Criminals will be after these same items, but for themselves, not as a barter item. The plains indians used travois to haul their villages long before they had horses for the job. The women, kids and dogs would haul the travois while the men walked along the outside of the tribe looking for trouble and game. Old Fido can haul a travois with his dog food and water on it. Having read the authors scenario he was talking about the likelihood of several months having already gone by the likelihood of find anything of value other than scraps of junk would be minimal and very possibly unlikely.I would think that maybe several weeks out that might be possible and also the proximity to any of these places mentioned would be some distance from your shelter and your ability to bring back anything would be limited by the size of your pack.I have come to enjoy and gained and insight to some things that I would not have thought about had I not been following any of these blogs,but I have to think what are we wishing for EOTW scenario or should we live in the moment but be prepared.I have found myself being caught up in the moment,but I also have taken some provisions to put my self at ease.The likelihood of having to bug out for me is out of the question as my wife is disabled and requires a wheel chair,bugging in is my only option.I live in a small city roughly 28,000 people about 15 miles from a major city,I’m not worried those with the ability to leave will have done so the rest will be waiting for the government to show up others looting and taking the high ticket items thinking when civility is restored they have it made and only then realizing nobody is showing up will migrate,and by then they will to weak to go very far and will be taken advantage of the by thugs that too have stayed and not planned to be prepared.The community I live in used to have a bumper sticker(country close to the city)know a lot of good people here (not saying what will happen when SHTF)but,I believe most people will act accordingly (civil),so I have to ask myself sometimes do we want something to happen and by reading these blogs are we feeding of of each our and have stopped living and forgotten how to live,bless all of you. To transport goods make/modify a bike with a cart. , Or a wagon with a small hoist for heavy items . Use a lock box for tools/gear security.Also just a thought those who prepare to survive deserve to survive. if you choose to party , play videogames or whatever.dont show up at my house expecting to consume my resources.